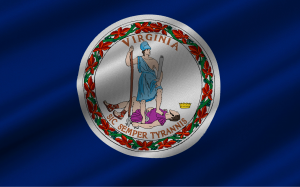 Virginia’s limited medical cannabis program attracted 49 applicants for five geographically dispersed permits to cultivate, process and dispense CBD oils at the filing deadline. The conditional pharmaceutical processor permits will be awarded by the state’s Board of Pharmacy on Sept. 25, and winners will have a year to launch their operations. Companies will be allowed to cultivate and process cannabis for CBD extracts only. While Virginia hasn’t legalized a full-fledged medical marijuana program, it passed a law that provides legal protection for CBD patients. Applicant names can’t be disclosed by law, according to Diane Powers, spokeswoman for the Virginia Department of Health Professions, which is under the state Board of Pharmacy. The requirement for vertical integration did limit some participation. Ed McCann, a member of the advisory board that helped develop the regulations, planned to apply for one of the permits but ultimately couldn’t reach a final agreement with a production partner. He said his view of the business opportunity was buoyed by the passage of legislation this year that expanded the program from covering just epilepsy to any diagnosed medical condition or disease determined by a practitioner to benefit the patient. “(The expansion of covered conditions) definitely is the way to go,” he said. The permits will be awarded to one applicant in each of the five geographic areas, which were all well-represented in the applicant pool, according to Powers. The original legislation passed in 2016 and was re-enacted in 2017.